A navigation canal is a man-made sea route that normally connects lakes, rivers, or oceans. These waterways are used for transportation, often sailed by barges or ships to travel from one ocean to another. Interior canals preceded the development of the railroad during the industrial revolution and some of them were later dried out and used as freeways to build railroads. 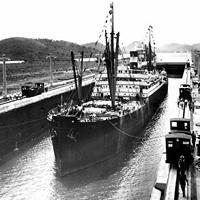 Canals influence world trade and are capable of driving growth in various countries thanks to transportation and trade. This ranking lists the world's main canals by their length.